The UP32HE-IP thermostat includes humidification and dehumdifications control and the industry's most advanced Remote Sensor Bus with 6 remote sensor types and up to 11 total remote sensors, 2 digital inputs and an occupancy sensor input. Proudly Made in the USA. 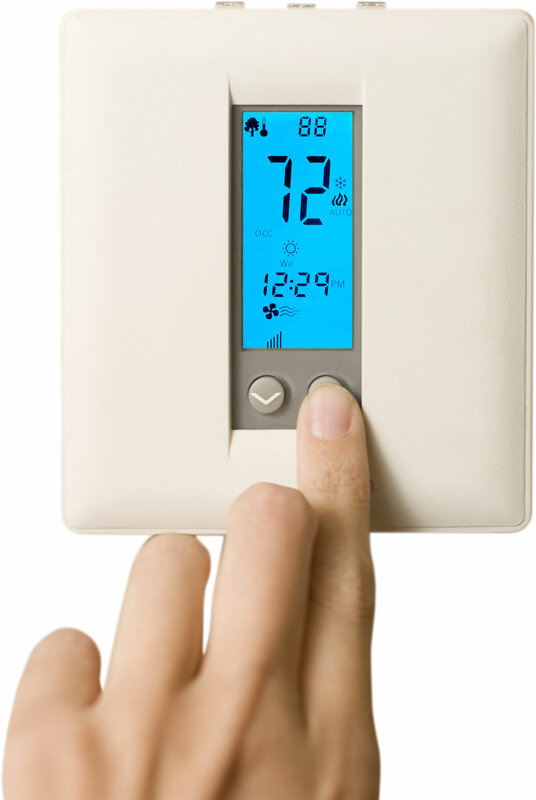 The UP32HE-IP thermostat is programmable communicating thermostat with connectivity as a Ethernet thermostat utilizing 10/100Mbps technology. In conventional mode, the unit can control up to two (2) stages of air conditioning and up to two (2) stages of heating. In heat pump mode, the thermostat can control up to two (2) stages of air conditioning and up to three (3) stages of heat, including auxiliary heat and emergency heat, with electric or gas (dual fuel). Humidity control is integrated for all equipment types. This 'E' version includes 'Event Scheduling' allowing for up to 40 special 1-time events and 40 calendar schedules. Integrated weather reporting gives full 7-day forecasting and heat pump balance point control without the need for an outdoor sensor. With the UP32HE-IP, up to 11 total remote sensors of 6 different types can be wired to the thermostat's remote sensor bus, allowing sensing and monitoring of remote room temperature (up to 6 indoor sensors), outdoor, humidity, and up to 3 auxiliary sensors for supply air, return air, spare temperature (think walk in freezer or server room), and occupancy. Because the UP32HE-IP works with either the on-board humidity sensor or the remote NT-HUM humidity sensor, it's possible to monitor and control humidity in a remote location. Perfect for securing the thermostat in an enclosure and still controlling temperature and humidity in the space. The unit will work for the vast majority of the HVAC units in the marketplace. The UP32HE-IP ethernet thermostat is a great solution where humidity control and Event Scheduling is needed in the thermostat (programmable) along with powerful remote sensing.